Hello and welcome back!! I'm here to share what is unfortunately my last post for Studio Katia. Today I made a thank you card, which I think is fitting for this occasion. 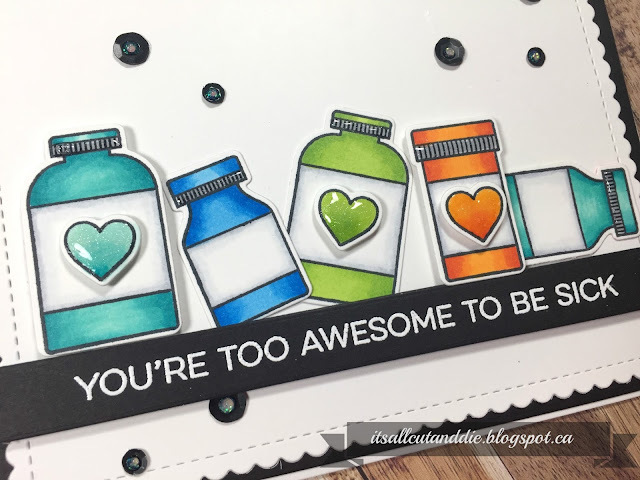 I had a ton of fun playing with all the fabulous stamps and dies in Katia's shop and am very thankful for the opportunity to share them with you! 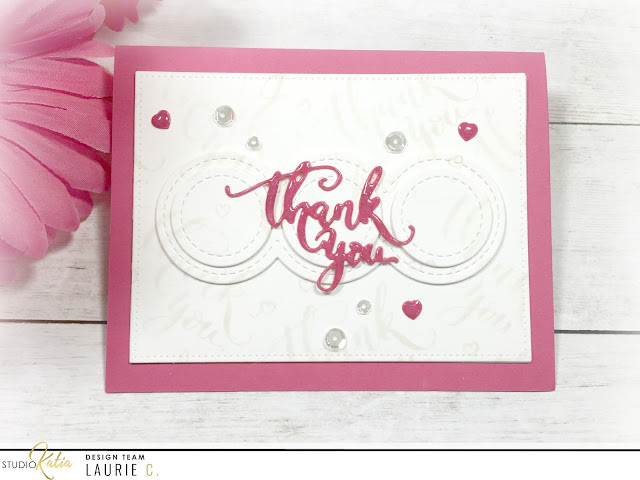 I started by stamping "thank you" from the Mini Thank You Stamp Set repeatedly onto some ivory cardstock using a very light beige ink. 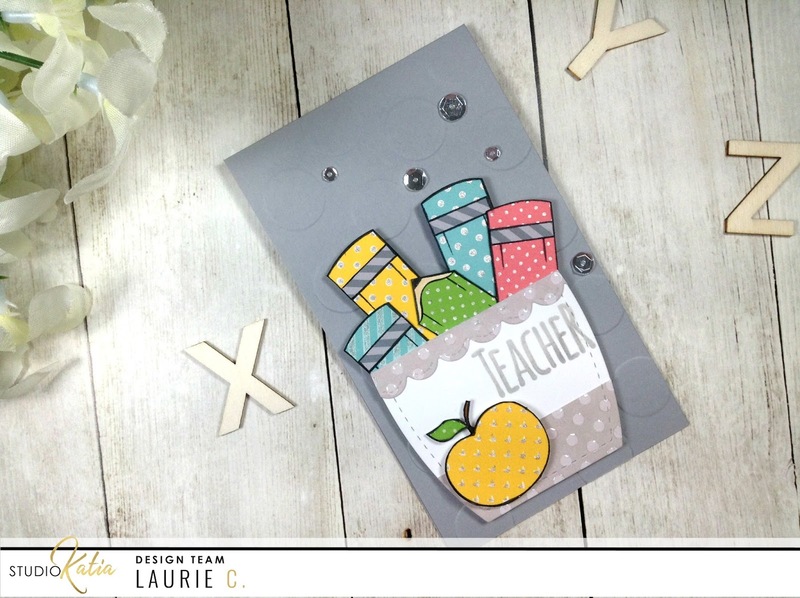 I cut the panel down using the rectangle die from the Dotted Patterns Set 1. To give the card a bit of interest and dimension, I used the Stitched Loops die and cut directly out of the panel. I die cut this 4 times. I stacked the outer frame using 2 of the die cuts and the inner circles has 4. This gave a really cool effect. After adhering the ivory panel onto a pink card base, I simply glued all the pieces into the negative space. 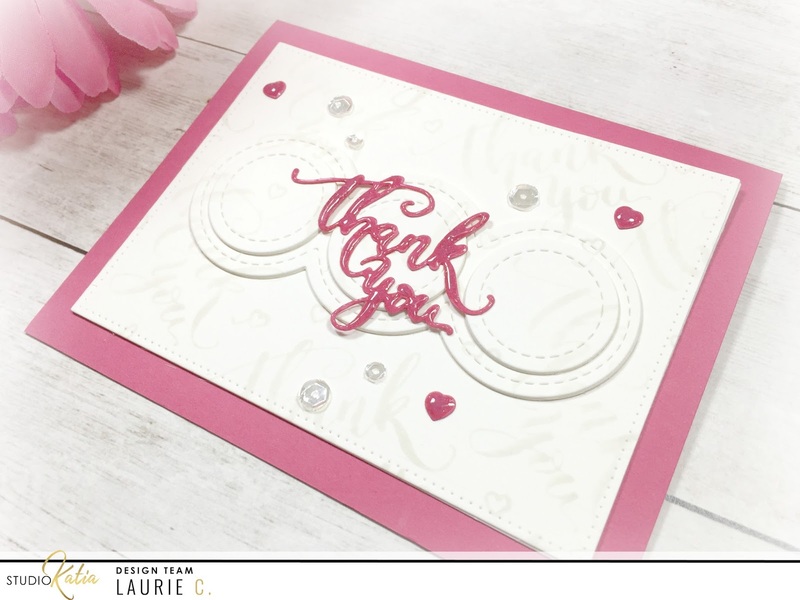 I die cut the "thank you" as well as three hearts out of the same pink cardstock. These dies are from the Co-ordinating Dies to the Mini Thank you Stamp Set. I used liquid glue to adhere the sentiment and the hearts and topped them off with a generous coating of Clear Wink of Stella and Glossy Accents. I also used a few sequins from the Majestic Fusion sequins for a bit of added sparkle. And that finishes the card!! I want to thank Katia for the time she gave me on this team, it was wonderful!! Making Use of My Stamps..L's! Hello and welcome back! It's Sunday which means it's time for another Making Use of My Stamps series. 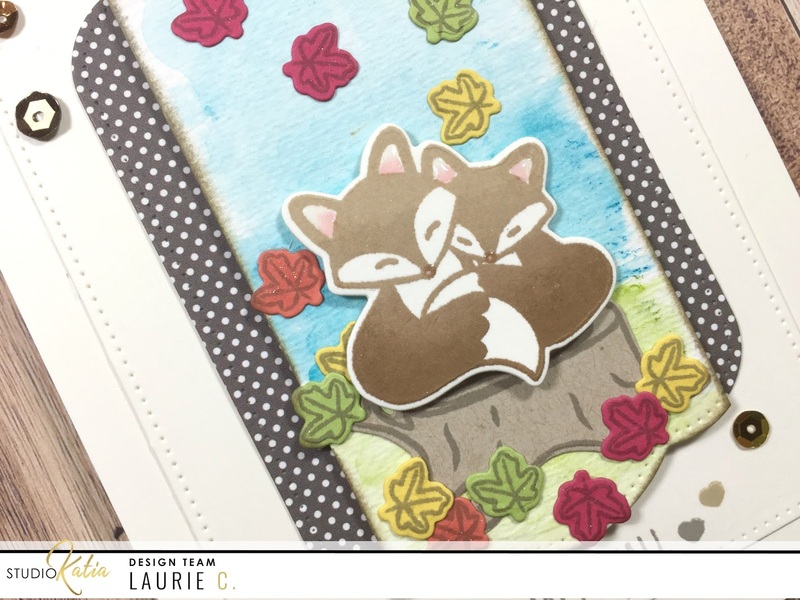 As you know, the last letter picked was L. I've made 3 cards using stamps and dies from Lawn Fawn, Lil' Inker and Love Cynthia. 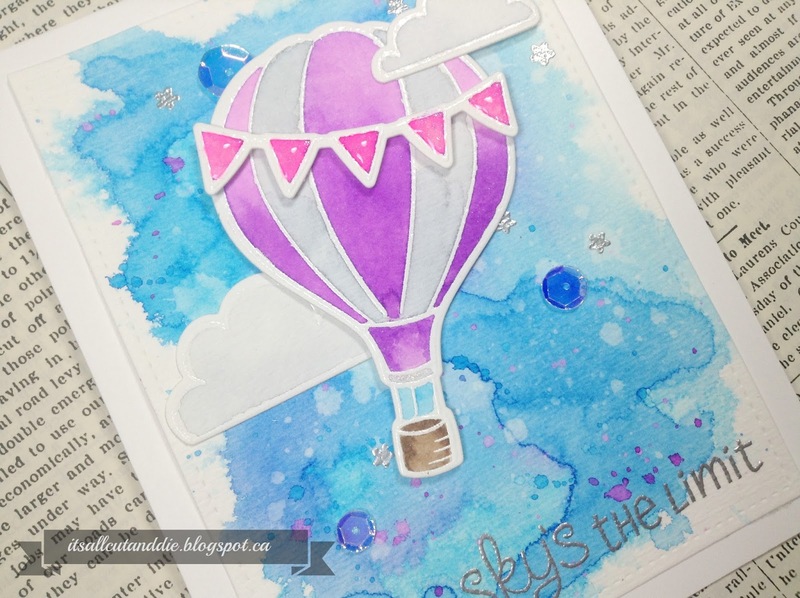 First up is a card made using the When it Rains, Look for a Rainbow stamp set from Love Cynthia. 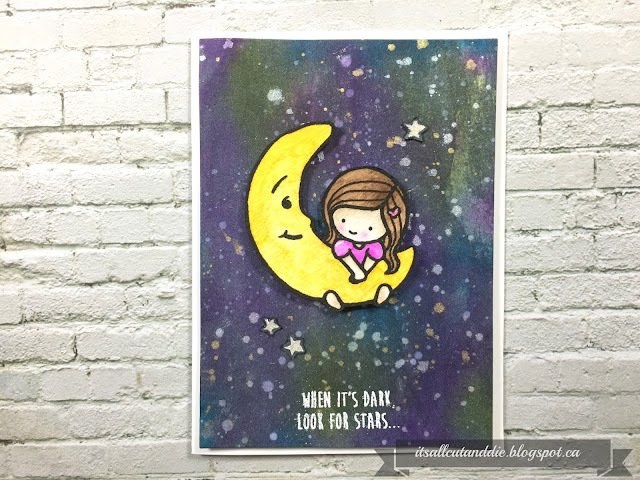 I used some new, super inexpensive liquid watercolours to create a night sky or galaxy background. I did add some of the metallic paints from the Kuretake Gansai Tambi Watercolours (36) for a little shimmer. I am in need of a good white paint for splatters!! I also used the same paints to colour that sweet image! I messed up on the sentiment but I didn't want to cover it up. And that's card #1! I white heat embossed the images before colouring them with, you guessed it, my new watercolours! This card came out super cute except that I had so much warping on mt watercolour paper that it actually started to curl the cardbase!! I have to start taping my paper down! 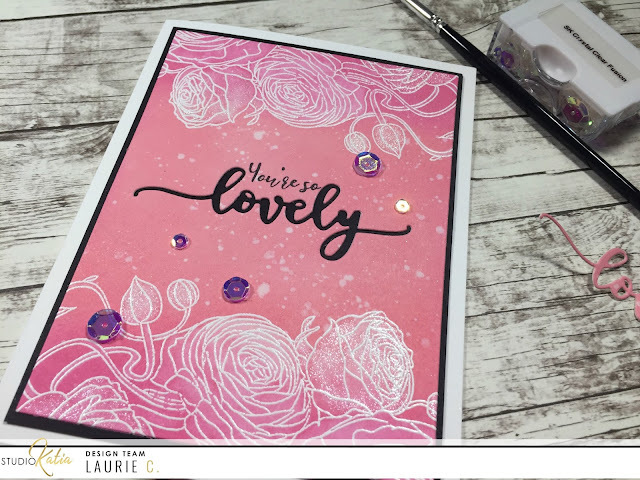 A bit of Glossy Accents, sparkle pen and sequins finish this card off. The florals in this set are beautiful. And I've recently become addicted to Catherine Pooler Inks so that's what I used here. I left the cardbase white (which was hard for me!) and simply adhered all the die cuts with liquid glue and foam adhesive. Thank you so much for taking the time to check out my newest cards! I hope you enjoyed. And I hope you'll take some time to give your older stamps some love! Hello everyone and welcome back!! Well, it's undeniable, fall is in the air. As I looked outside this morning, there are a few leaves on the ground. I love fall, I just don't like what's coming next :(. For today's card, I thought I'd use the change of season for inspiration. 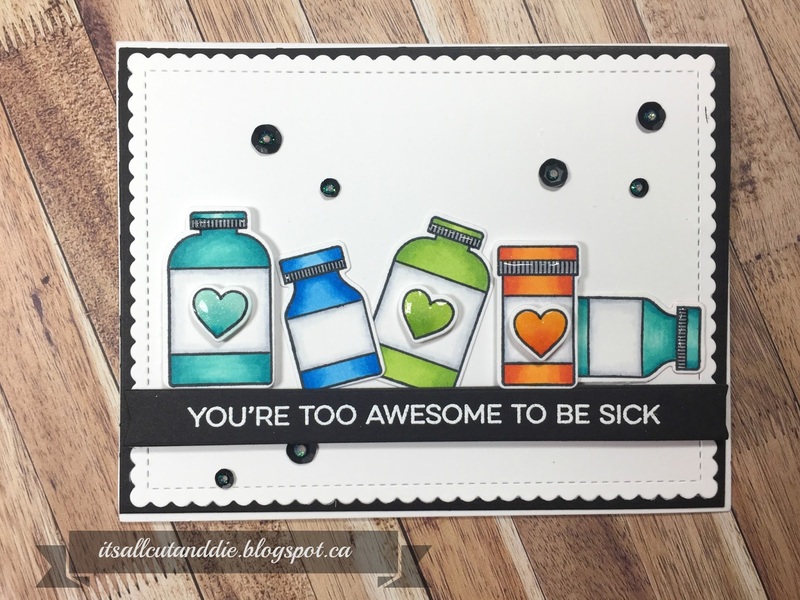 This card has absolutely no colouring on it, just stamping and coloured cardstock. 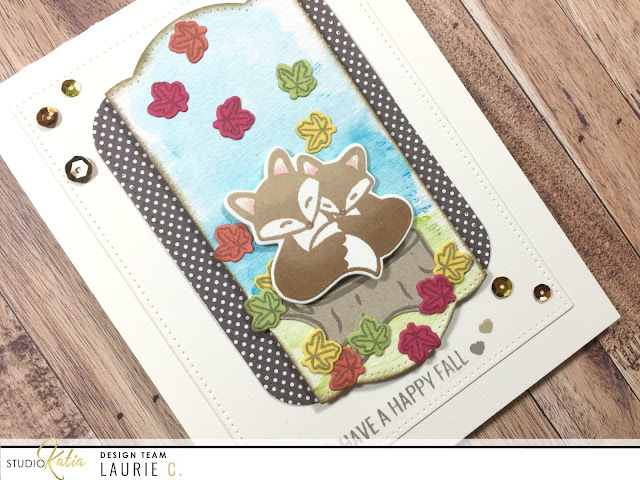 I used one of the super cute fox images from the Foxes Stamp Set and used a couple of brown shades of ink to give it some shading. Of course, I used my Misti for this! I stamped the whole image in a light brown ink, stamped then inked only the lower portion in a darker brown and stamped again. This gives a really pretty effect. I also stamped the tree trunk and leaves from the same set onto different colours of cardstock. I die cut everything using the co-ordinating dies. To create my little scene, I did a light wash of watercolour onto a scrap of watercolour cardstock. 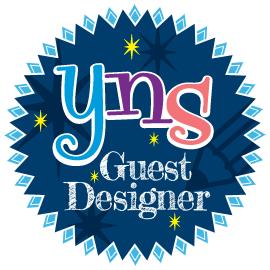 Using the centre of the rounded edge label die from the Dotted Patterns Set 1, I gave that strip a really cute edge!! 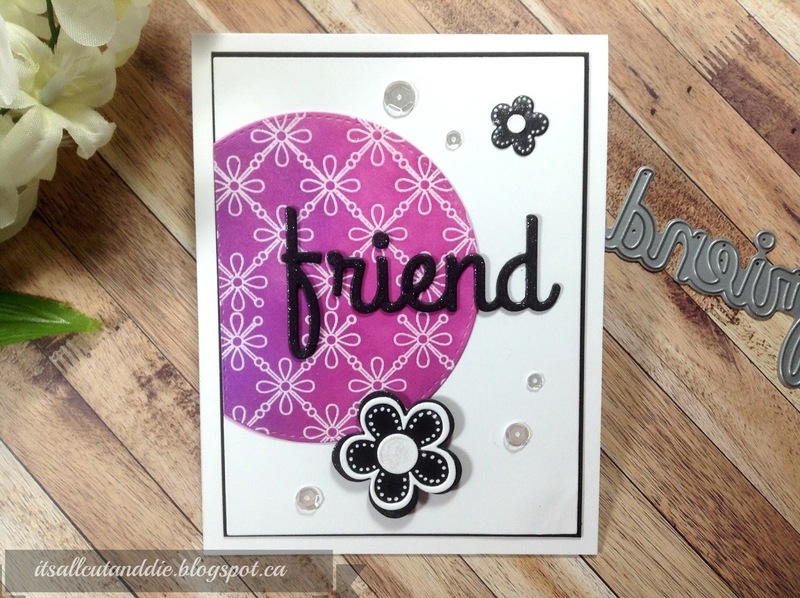 I used the same die to cut a piece of brown polka-dotted paper and layered the two pieces together. I adhered all my little bits and pieces to the watercolored piece and the scene was complete! I was just going to adhere my little label onto an ivory card base but decided it needed just a little extra something. So, I die cut the rectangle die from the Dotted Patterns Set 1 out of ivory cardstock. I adore all that dotted detail!! 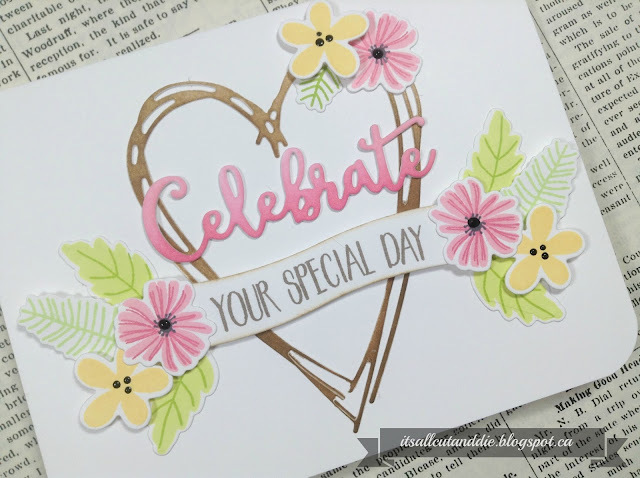 The sentiment come from the Happy Stamp Set which I stamped in a mid-tone brown ink. To finish off, I used a few sequins from the Autumn Fusion Sequin pack. Thank you for stopping by today!! Have a great day!! Making Use of My Stamps...L!!!! Hi everyone!! 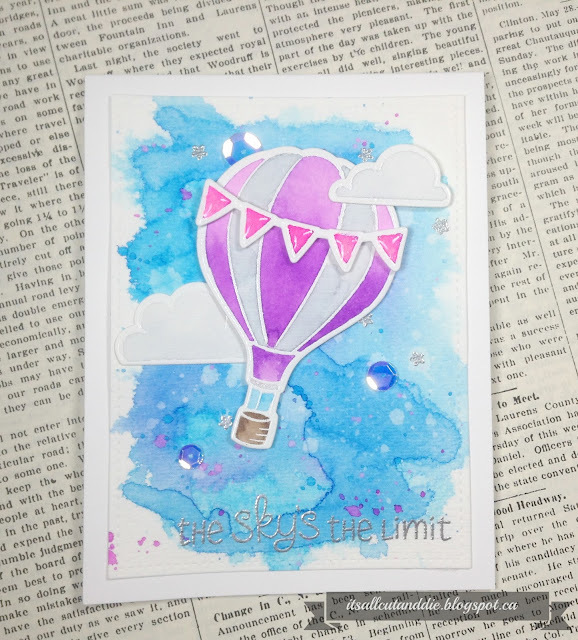 It's time for another instalment in my "Making Use of my Stamps Series"! This past week I decided to draw a new letter. I was enjoying the letter m but was excited to see what was coming next! The lucky letter is..."L"!! I was really happy with this draw. 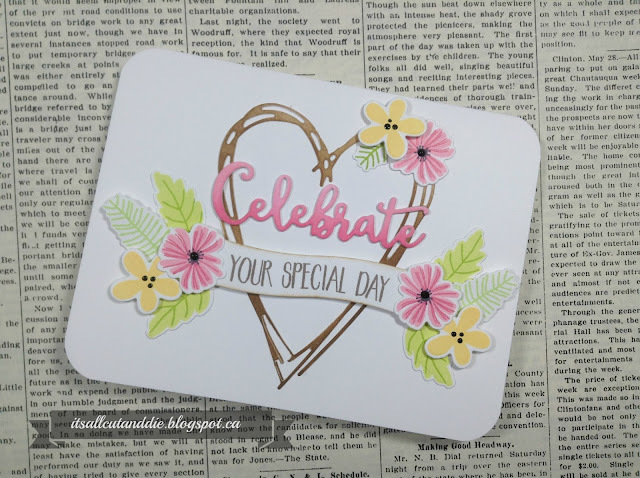 I know I have a lot of fun stamps in this letter, including Love Cynthia, Lil' Inker and Lawn Fawn. This first card uses stamps from Love Cynthia and dies from Lawn Fawn. I used the Somebunny Loves You stamp set which, by the looks of it, is discontinued. Sorry about that. As I'm going through and using these stamps, I'm realizing just how long they've been sitting!! I used the Stitched Rectangle Frames Dies from Lawn Fawn to frame my little scene. 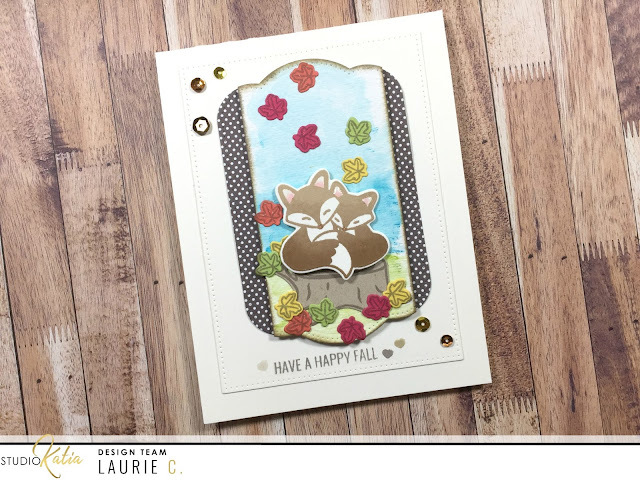 Next, I used the Fab Flowers Stamps and Dies from Lawn Fawn. 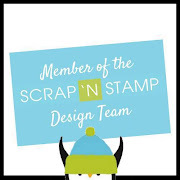 Instead of stamping the solid images in this stamp set, I blended ink on each die cut and stamped the detail layer. I used inks from Simon Says Stamp, Hero Arts and Altenew. And finally, for my last card, I used Lil' Inker products. I used quite a few products on this little 4.25X4.25 card! And now that I look at this, there is NO STAMPING!!! I used the Stitched Woodgrain Cover Up Die for the background on the white panel. The tag is from the Anytime Tags Die Set, the sentiment is from the Everyday Word Tags Die Set and the butterflies are from the Stitched Butterflies Die Set!! And I actually used some patterned paper. Thank you for stopping by!! I'll be back with more cards in the "L" category over the next few weeks!! Also, thank you if you're playing along with me. I hope you're finding some hidden treasures in your stash!! Hi everyone and happy Monday!! Today I thought I'd show you a technique!!! Exciting, right? Actually, this is far from new but really fun and easy. It's the "ink lifting" or "ink bleaching" technique. Let's get started! 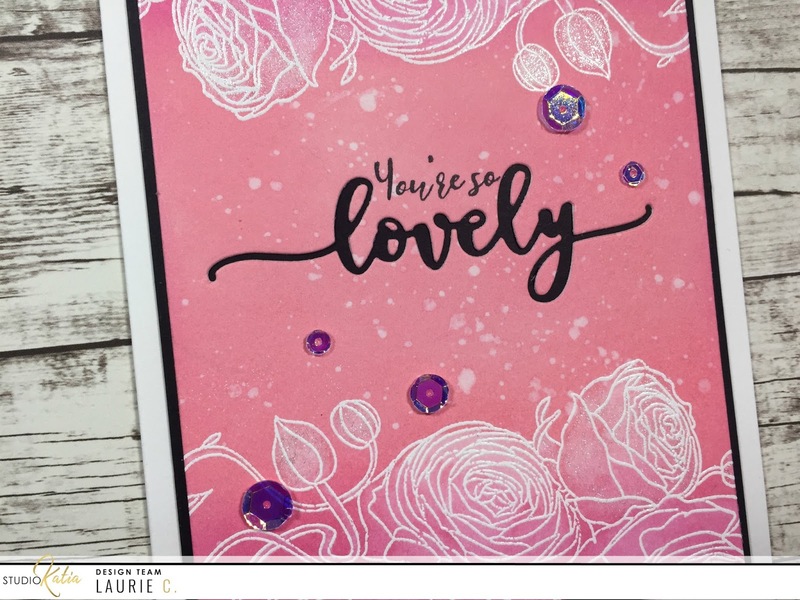 I started by heat embossing the large floral image from the You're So Ranunculus set in white onto some watercolour paper. I stamped only the top of the image on both the bottom and the top of the panel. 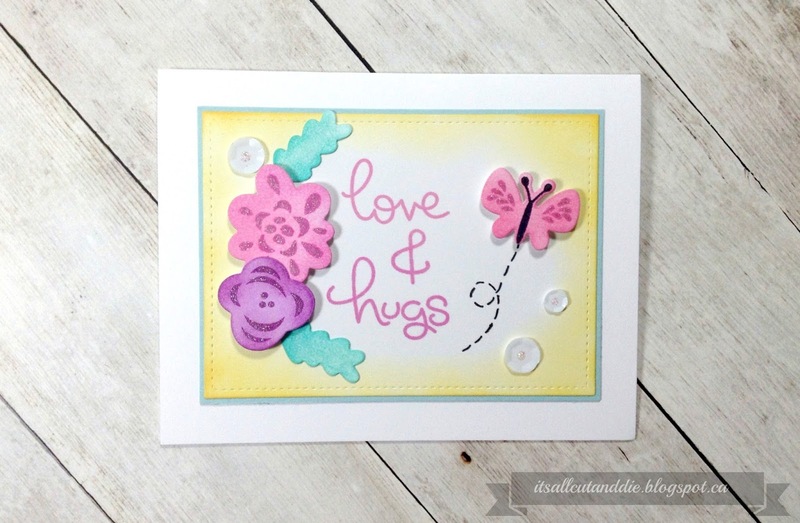 The Original Misti and the Misti Creative Corners make this really easy. All you have to do is rotate your paper 180 degrees and you get the perfect mirror image! I picked two colours of Distress Oxide Inks, Picked Raspberry and Worn Lipstick. One of the keys to this technique is to use LOTS OF INK. Really saturate your paper. You can take the ink pad directly to the paper if you want but because I wanted a bit of a blended look, I used my blending tools. Now, all you have to do is apply a liberal amount of water to the inside of the embossed image. Because these inks are reactive with water, the ink will start to "lift" or "bleach", giving the image a whiter look! I would let the water sit for a few seconds before dabbing it with a paper towel. I probably could have added more water for a brighter white but I was happy with this. I also took my wet paint brush and flicked some clean water across the background, because I totally couldn't resist. 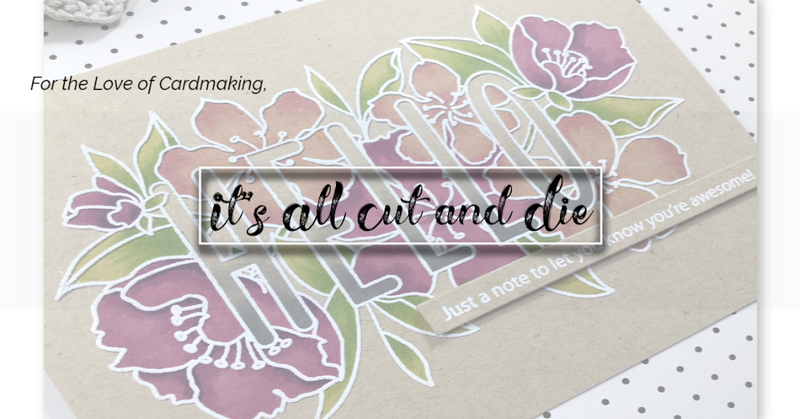 I took the "lovely" word die, also in the You're So Ranunculus bundle and die cut that directly out of the panel. My original idea was to do some inlay die cutting but after I layered this piece onto black cardstock, I changed my mind! Yup! I adhered that beautiful panel onto the wrong side of the card base, with my ATG adhesive, no less! I just sat there, so annoyed with myself. 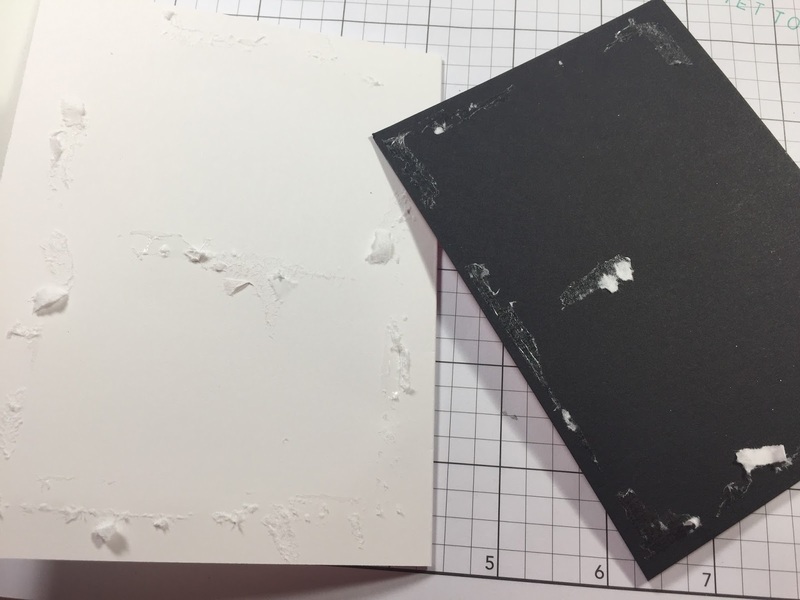 I could have just trimmed around the card base but this is quite a heavy layer already, so I didn't want to have THREE pieces of cardstock on top of a cardbase. So, I took my bone folder and carefully lifted the panel off and adhered it the RIGHT WAY!! To add a bit of sparkle, I used sequins from the Crystal Clear Sequin Fusion and a little Shimmer Pen over the flowers. Thanks for joining me today!! Have a great week and see you soon!! Hi everyone! I decided to enter a card challenge this week!! This will be my first time participating in Cas-ual Fridays The Challenge! 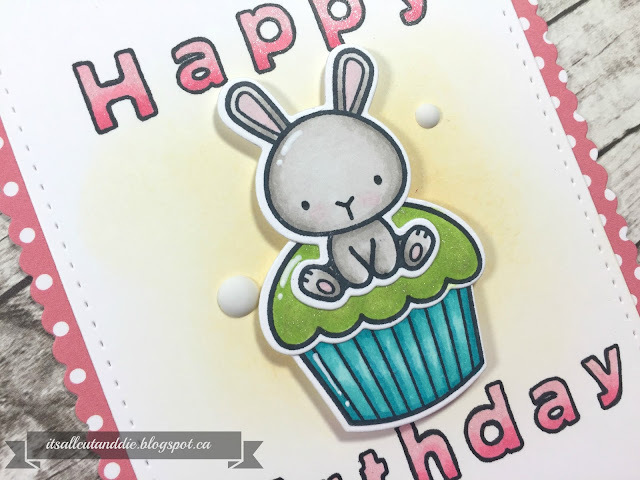 I recently fell in love with this line of stamps through Catherine Pooler's Online Shop. 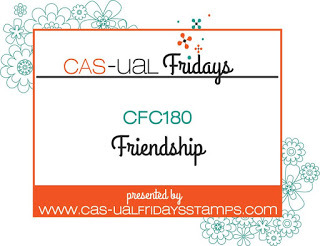 Cas-ual Fridays stamps and dies are really unique. 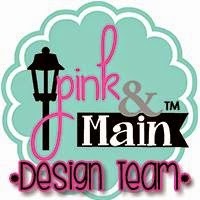 From sassy to elegant to whimsical to graphic, they've got you covered! The theme of this challenge is FRIENDSHIP!! I love making friendship cards to this was totally fun!! I used the Tin Roof stamp set with Versamark Ink and Clear Embossing Powder to create the half circle, emboss resist piece. I used Wilted Violet and Seedless Preserves Distress Oxide inks for the blending. I die cut the Friend die out of black cardstock, twice, and layered them together. My card base was white so I kept the black/white theme going by cutting the flowers from the Friendly Flowers Fri-Dies out of black and white, as well. I matted the card panel (crookedly) onto a black mat and adhered it to the card base. I foam mounted the large flower and used liquid glue for the smaller one. And because I can't help myself, I added some white gel pen!! 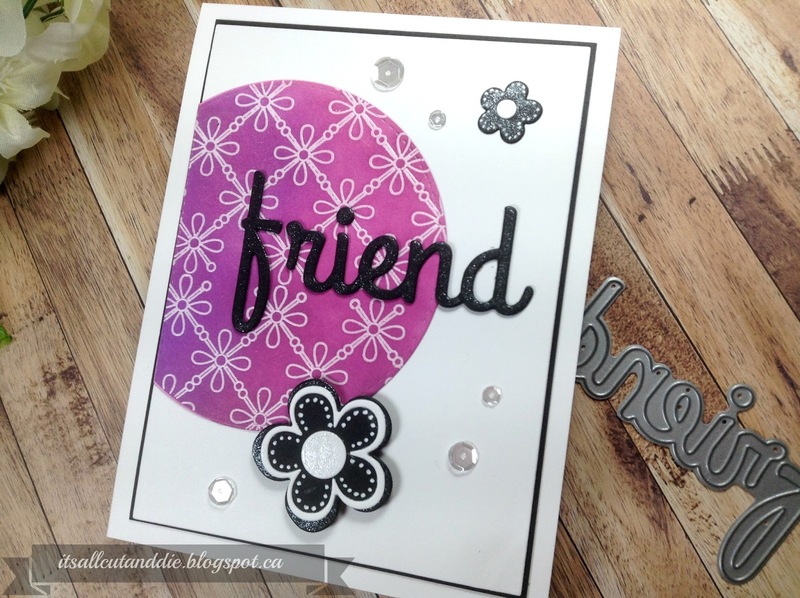 It's hard to see in the photos, but I applied glitter pen to the friend die cut to give it some sparkle. And speaking of sparkle, I added a few Sparkling Clear Sequins!! Let's carry on with the letter "m", shall we?! 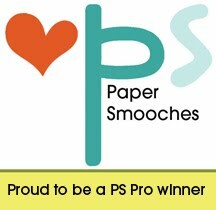 I'm slowly making my way through my stamps in this category and am still having so much fun! Let's see what I've come up with this week! My first card uses a stamp/die set from My Creative Time. I love this card!! It is super elegant and was very easy to make! The set is called Springtime in Paris. I have not used this set and I wonder to myself why not. 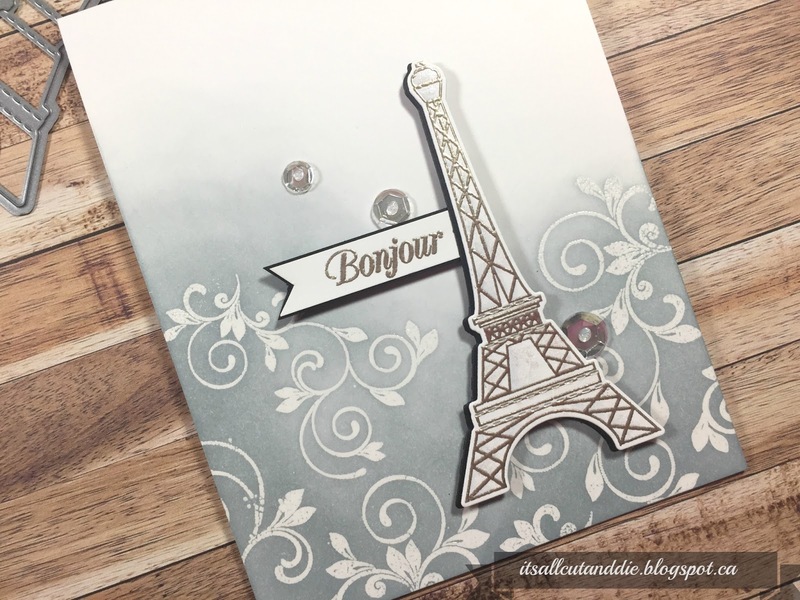 This set has a lot of sentiments in french, the swirls and of course the Eiffel Tower. The die comes along with the stamps! My next card features Mama Elephant. 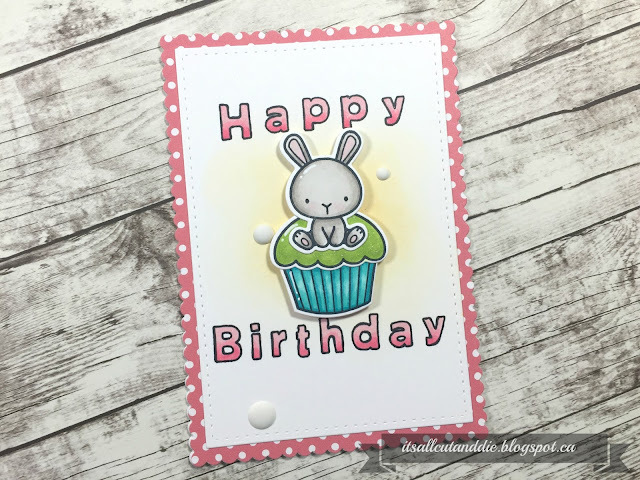 I used the Carnival Cupcakes stamp set and the Co-ordinating Cuts. I made the card base out of the Index Card Creative Cuts Set. 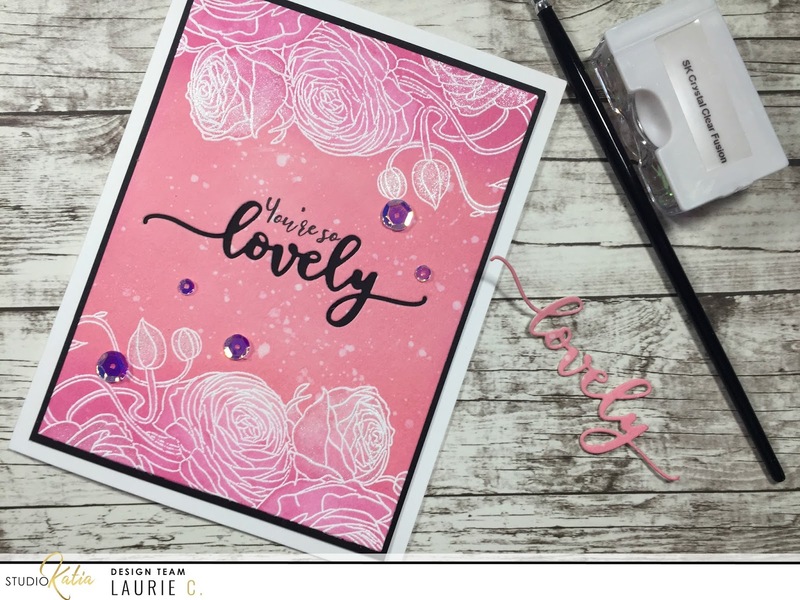 The sentiment was made using the Hollow Letters stamp set. Honestly, not one of my favourite alpha sets but cute none the less! I do however, adore the cupcake set!! And lastly, and quite possibly my favourite card, features My Favourite Things. I got the Feel Better Stamps and Dies. This set is ON SALE RIGHT NOW over at Butterfly Reflections Ink!!! This set has the cutest medicine bottles along with a bowl, spoon and mug. These pill bottles are super adorable and they were so much fun to colour!! 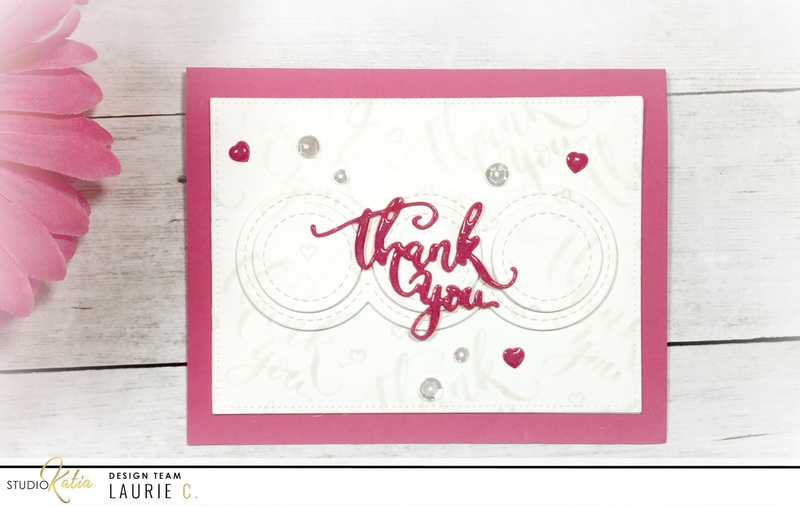 The scalloped panel and the sentiment banner comes from the Blueprints #27. The sentiment comes from the Essential Sentiments set. 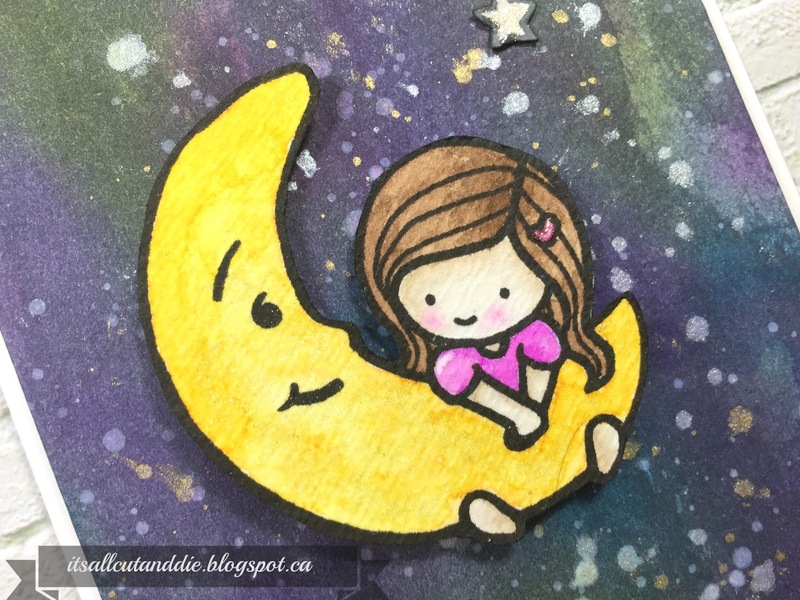 I hope you enjoyed this week's instalment of my blog series! 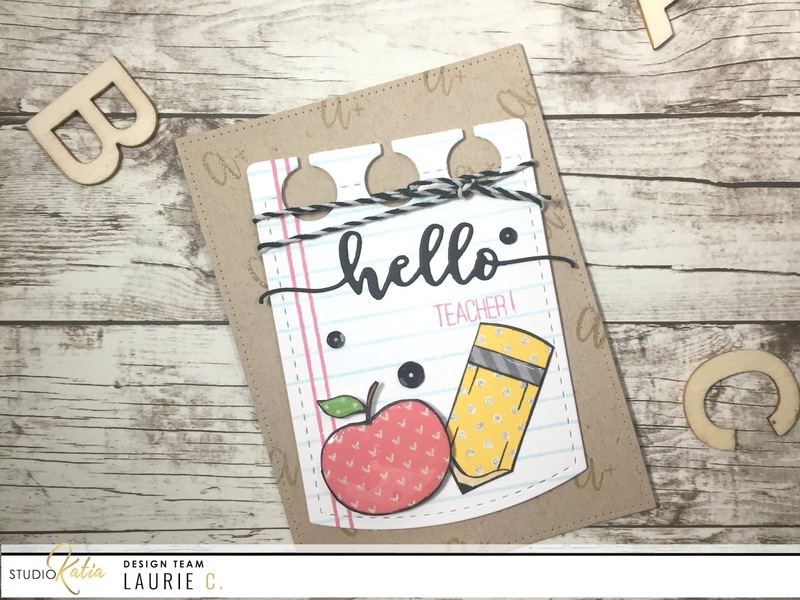 Back to School with Studio Katia! Hello and welcome back!! This week we are celebrating Back to School on the Studio Katia Blog!! There is still some summer left but you can almost "feel" fall coming and that means back to school!! I was always an anxious kind of kid so the first day of school was always a little terrifying for me, really happy those days are over :). Now onto my cards. Yes, I made two cards but I'll mainly focus on the second one which I think is better. But I'll share the first one and you can let me know what one you like better! Let me know what one is your favourite!! 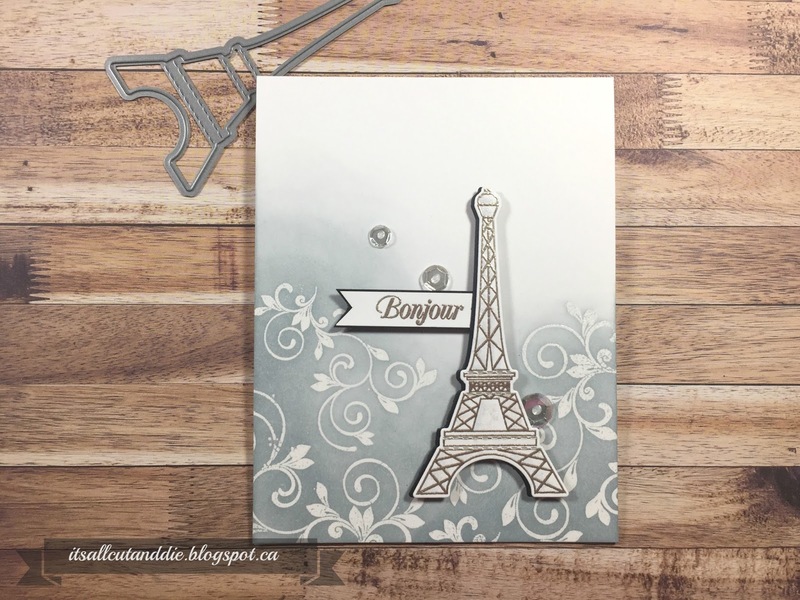 Also, please visit the Studio Katia for all the details on the making of these cards!! 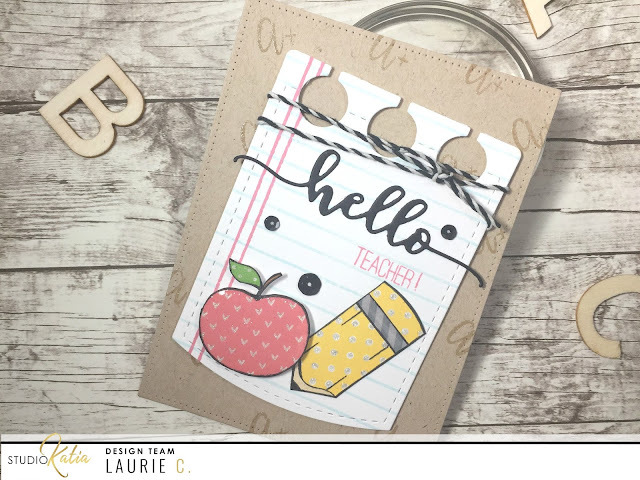 Stay tuned to the SK blog this week because there's more "Back To School" projects to share! !